Jim Cline, (founder and trip leader), is an award-winning cultural documentary and travel photographer based in San Diego, California. Jim is known for his willingness to shoot all around the edges of light, creating images with tremendous impact that capture the essence of a place or culture. He always strives to transcend ordinary travel pictures, and to convey a strong sense of place, and the spirit of the people in his photographs. Jim’s wanderlust and search for compelling images has brought him to many less-traveled areas around the world. He takes particular interest in the indigenous peoples and traditional and tribal cultures of developing nations, and in documenting these disappearing cultures. Through his images he strives to portray the dignity and timeless beauty of these people living in harmony with nature. As well as winning numerous awards, Jim’s work has been displayed in the San Diego Natural History Museum and the Museum of Photographic Arts, and in many galleries, both in the U.S. and abroad. He gives frequent slide presentation lectures of his travels throughout the world. Jim and his photographs have been featured in several books. His images have also been published in numerous magazines, newspapers, annual reports, tourist brochures, calendars, websites, and CD covers. 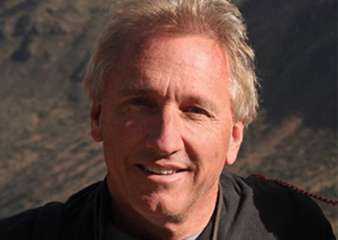 Jim founded Jim Cline Photo Tours in 2002 and he currently leads small-group photo tours to various locations around Latin America. When not busy running his Photo tours business and leading trips to the best photographic locations in Latin America, Jim works on assignment as a photographer for humanitarian organizations. His images have graced the covers of annual reports for groups such as Freedom From Hunger, and have appeared on websites, brochures, postcards and other mediums promoting their efforts around the globe.